Tonight I am in a cozy hotel in Flagstaff, AZ. The day after I posted the Christmas video, I was on vacation. We packed up and headed out to California. The ride was pretty wild. 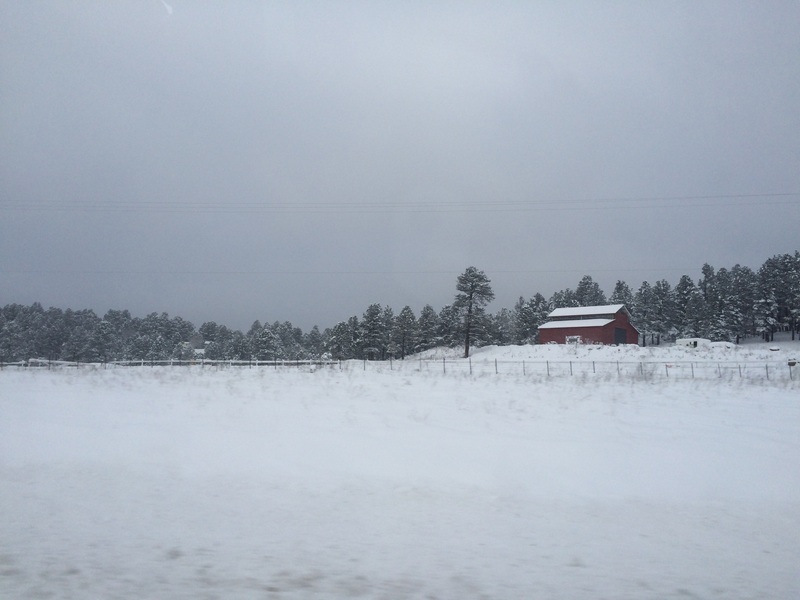 On the second day of our drive out, there was very bad winter road conditions. So, the family caravan was stopped in Ash Fork, AZ. The 1-40 West had closed, so we were stuck. We had to turn back and spend the night in Williams, AZ. The next day, we headed north east up to Phoenix, AZ, which added about 1-2 more hours. Sometimes life calls for a detour. Just like traveling in winter, we never know what life holds. We make our own plans, but most of the time, we have a detour. Although, most of the time, the detour is better, even though longer/harder. On the way out of Arizona, my family and I saw lots of accidents. Trucks flipped over, mini vans stuck in snow banks; I couldn’t help but think to myself, that could’ve been me. The detour may be longer, but the Father in Heaven picked the route for you to save you from spiritual injury, or even death (I don’t mean to scare you; I’m speaking in terms here). Sometimes (actually all the time) we have to put our whole trust in our Lord and give all our fears to Him. The horse and rider work as a team to leap over logs, trees, fences, and water obstacles. Horses can’t see depth (don’t get me wrong, they have good eyesight), so when the rider guides the horse to jump into the water, the creature can’t see the bottom. So the horse has to trust that the rider understands what she’s doing. My mom is currently reading the family a book about the Fantasy works of Tolkien and Lewis called “On the Shoulders of Hobbits.” The author, Lewis Markos, explains that we, just like Shasta and Aravis, or Frodo and Sam, we have to trust the Road and just let our God guide us to where He wants us. So, when your 1-40 shuts down, take the detour and even though it’s tougher, it was hand picked by the Creator of the Universe for you. P.S. I will have a picture update for y’all tomorrow!